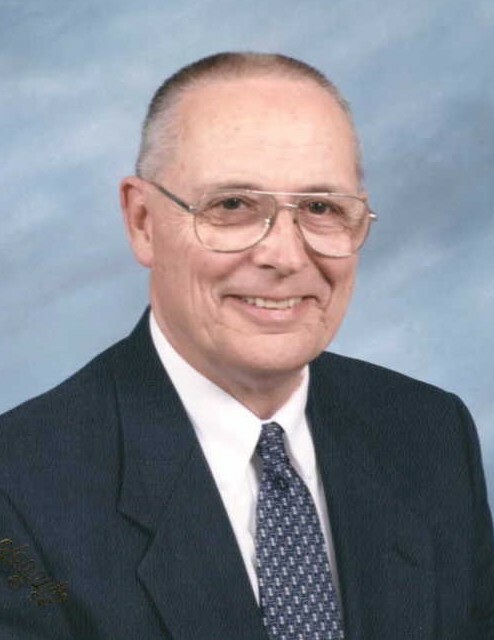 Obituary for Pastor Douglas E. Bartlett | Kroeze-Wolffis Funeral Home, Inc.
Pastor Douglas E. Bartlett, age 84 & formerly of Grand Rapids, went to be with his Lord & Savior on Wednesday evening, September 5, 2018. He was born on July 10, 1934 in Grand Rapids, Michigan, and he was a US Air Force Veteran of the Korean War. After graduating from Grand Rapids Baptist Bible College, Doug spent 48 years of Ministry in Michigan, Indiana, Georgia, North Carolina, & South Carolina. He also loved to read & sing, and he had a sense of humor and was a great story teller. On January 8, 1955 he married Ann Hetzel and she survives him along with 4 children: Rex (Stella) Bartlett, Todd (Brenda) Bartlett, LuAnn (Brad) Hulce, David (Lori) Bartlett; 11 grandchildren & 14 great grandchildren; and 1 brother, Wayne Carney. Doug was preceded in death by his brother Gerald Wayne Bartlett, and by his sister Margaret Lucille Bartlett. The Funeral Service will be held at 12:00 Noon on Thursday, September 13, 2018 at First Baptist Church in Fremont with Pastor Wayne Snyder officiating. Visitation will also be at the church from 11-12 Noon on Thursday. Interment will be in Twin Lake Cemetery. Suggested Memorials: Parkinson's Association of West Michigan, or Gideons International. You can sign the online guest book at www.kroeze-wolffis.com. Arrangements are by Kroeze-Wolffis Funeral Home, Inc. of Fremont.